Browse Artists and Groups William Brymner, C.M.G., P.R.C.A., O.S.A. Born in 1855 in Greenock, Scotland, William Brymner was the son of the first Dominion Archivist, Douglas Brymner and Jean Thompson. He and his family moved to Melbourne, Lower Canada in 1857, then to Montreal in 1864. Brymner undertook studies to become an architect but in the end decided to become a full-time painter. Brymner made his living by teaching, first at the Ottawa School of Art, and then, from 1886 until 1921, at the Art Association of Montreal. He is considered the first great teacher of painting in Canada and was a critical influence in the training of many Montreal artists who went on to find fame. Among his students at the Art Association of Montreal were Clarence Gagnon, Adrien Hébert, Henri Hébert, Prudence Heward, Edwin Holgate, A.Y. Jackson, Lilias Torrance Hewton, Sarah Robertson, Anne Savage and Marian Dale Scott. Brymner was influenced by the French school of painters, both classical and impressionistic. He shared his love of landscapes with fellow artists such as J.W. Morrice, Horatio Walker, Edmond Dyonnet and Maurice Cullen. Brymner would sketch with them at Sainte-Anne-de-Beaupré and the Ile d'Orléans. He was admired for the delicacy of his art, the way he painted portraits and interiors in a figurative style, in addition to murals and watercolours on silk. 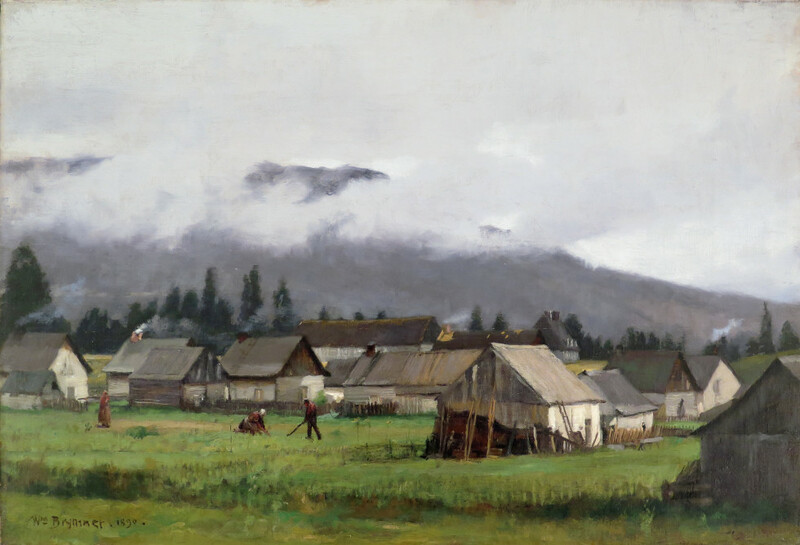 In 1883, William Brymner was made an associate of the Royal Canadian Academy of Arts (R.C.A. ), and elected a full member in 1886. The same year he became a member of the Ontario Society of Artists. He regularly exhibited in the major annual arts exhibitions in Canada, including the Canadian National Exhibition in Toronto, as well as in many international shows. He was a gold and silver medallist respectively at the 1901 Pan-American Exhibition in Buffalo and the 1904 Louisiana Purchase exposition in St. Louis. A founding member of the Montreal Water Colour Society in 1889 and the Pen and Pencil Club of Montreal in 1890, president in 1893, he was active as well in the Toronto-based Canadian Art Club from 1908 to 1915 and from 1912 in the Arts Club of Montreal, serving as its president from 1916-17. He was elected vice-president of the R.C.A. in 1907 and president in 1909. In 1916, he was made a Companion of the Order of St. Michael and St. George. 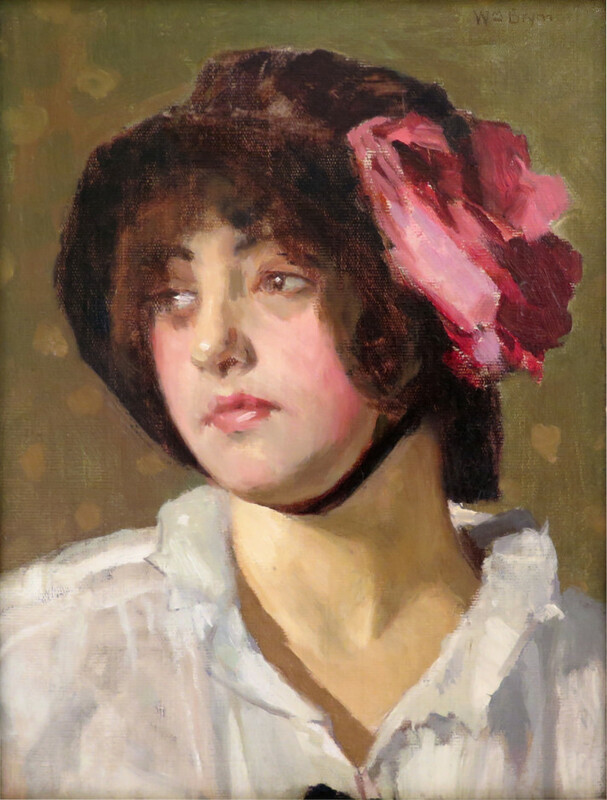 A stroke in 1917 ended his painting career and in 1921 he retired from teaching and spent his remaining years travelling, mainly in France and Italy, with his wife. He died while visiting his family in Wallasey, England, in 1925, at the age of 70. Please send me more details about the following artist. William Brymner, C.M.G., P.R.C.A., O.S.A. inscribed in black pen and ink in an unknown hand, "M. de foy Suzor-Coté" (verso, left vertical stretcher).